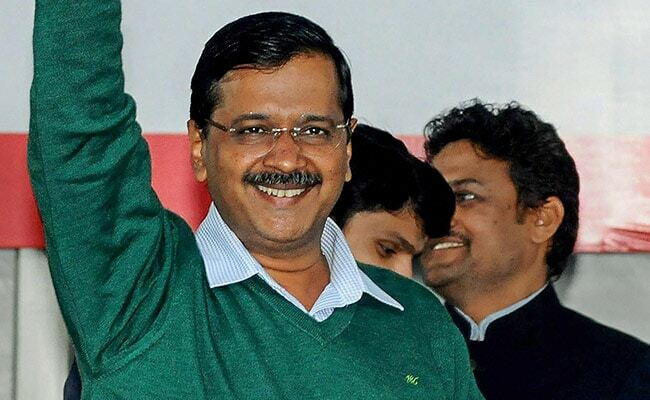 Arvind Kejriwal promised that he will get the 'deleted names' of voters added again to the electoral list, but requested people to vote for the Aam Aadmi Party (AAP) in the Lok Sabha polls next year. Chief Minister Arvind Kejriwal on Wednesday attacked the BJP over alleged 'mass deletion of voters' names from Delhi's electoral list and likened the party to a "demon". The chief minister was speaking at an event to felicitate players of the Asian Para Games-2018 who have made Delhi proud in different international tournaments. He felicitated Para Asian Games Bronze medalist Avnil Kumar and also handed over a cheque of Rs 50 lakh to him. The chief minister attacked the Bharatiya Janata Party over alleged mass deletion of names of voters in the electoral list. "Their (BJP) job is to do destruction. Do you (people gathered at the event) know who does destruction? Demons do destruction. The character of the BJP is that of a demon (BJP ki rakshas jaati hai)," Mr Kejriwal alleged after a group of people interrupted his speech at the event. He promised that he will get the 'deleted names' of voters added again to the electoral list, but requested people to vote for the Aam Aadmi Party (AAP) in the Lok Sabha polls next year. Later in a statement, the government said that it has been working for the overall development of sports and sporting facilities in Delhi. Apart from working on the infrastructure development for sports, huge increase in the prize money for the sports persons, the government has also launched schemes for continued support for athletes and budding talents, it added.